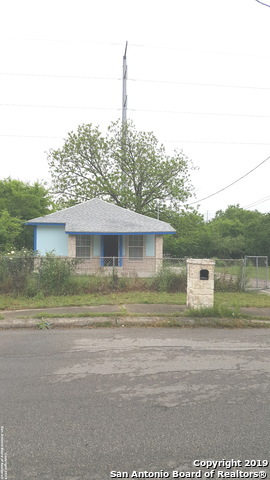 All LOMA TERRACE homes currently listed for sale in San Antonio as of 04/24/2019 are shown below. You can change the search criteria at any time by pressing the 'Change Search' button below. "Do you have a big household? This home is for you!!! 7 bedrooms 3 full bath home built in 2016. Open floorplan*High Ceilings*Spacious Bedrooms*2 washer and dryer connections. 5 minute drive from elementary, middle and high schools. Near St. Mary's University. Call now to schedule a showing." "COZY HOME two bedrooms and a bathroom. Property includes the lot next to the house, where you can add extra rooms or built another house for a rental income. It has a sewer and water ready. Large patio in the back and side of the house. New roof, water heather(2 years), recently paint inside/outside. Stove and Water Heater are gas." "This corner lot gem is a rare find near St. Mary's University. This amazingly well kept home was completely rebuilt in 1999...roof replaced in 2017. Home features central air/heat, two different covered parking areas, covered back patio, side entry to backyard, storage shed, etc. Did I mention the beautifully manicured yard with mature trees enclosed by a wrought iron fence & sliding gates?"